1.1 These Terms and Conditions of Sale (Terms) shall apply to and form part of any contracts of sale for the supply of any or all goods, products, materials and related services (Goods) by the purchaser Lynx Weber Pty Ltd trading as Lynx Performance Products A.C.N. 608 646 573 and any related body corporate of Lynx Weber Pty Ltd within the meaning of section 50 of the Corporation Law. 2.1 Any quotation(s) given by Lynx Performance Products to the Purchaser shall constitute an offer to sell goods to the purchaser. 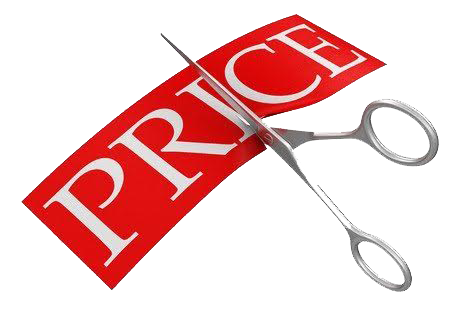 2.2 Prices given in any quotation by Lynx Performance Products are applicable to that quotation only and will not apply in other instance and will not include the cost of the delivery of the Goods, including but not limited to costs incurred by Lynx Performance Products arising out of a late notification by the Purchaser of a change to an agreed delivery point, unless otherwise specified in the quotation. 2.3 Quotations and prices are valid for a period of thirty (30) days from the date of issue by Lynx Performance Products or as otherwise specified in the quotation. 2.4 The price of the Goods will be the current price determined by Lynx Performance Products at the time of delivery and may be subject to a variation due to change in rates for ocean freight and exchange rates. The price will be exclusive of all applicable taxes and charges, unless otherwise stated or agreed between Lynx Performance Products and the Purchaser. The Purchaser shall be liable for all excise, sales, Goods and Services Tax (GST) or any other tax, charge or government impost (domestic or foreign) imposed upon the Goods or any part of the Goods, or upon the manufacture, use, sale or delivery of the Goods which shall be in addition to the purchase price. The Purchaser must pay the GST at the same time as payment for the goods is made. 2.5 Any order(s) must be clearly communicated by the Purchaser to Lynx Performance Products quoting an order number, full description of the Goods to be purchased (including, as the case requires, lengths, weights and dimensions using conventional units of measurements) and the delivery time and address. Reference to a Lynx Performance Products quotation number to the Purchaser must be made if a quotation was provided by Lynx Performance Products. 2.6 These Terms apply to the Purchaser and Lynx Performance Products in respect of Goods ordered by the Purchaser and any terms and conditions set out in the Purchaser’s order deviating from or are inconsistent with these Terms will not bind Lynx Performance Products including any statement by the Purchaser in its order that its terms and conditions shall prevail over these Terms. 2.7 If the Purchaser’s order refers to a specification of the Purchaser then the Purchaser must deliver such specification to Lynx Performance Products without charge. The Purchaser represents and warrants to Lynx Performance Products that any such specification does not, and any Goods produced by Lynx Performance Products pursuant to such specification, will not breach or in any way infringe upon the rights or intellectual property of any third party including, without limitation, patent, design, copyright or other intellectual property rights. 2.8 The Purchaser may not cancel an order for Goods without the prior consent of Lynx Performance Products. 2.9 If the Purchaser repudiates a contract in force between Lynx Performance Products and the Purchaser on the terms of these Terms or refuses to accept delivery for any or all of the Goods other than on circumstances permitted under these Terms or if Lynx Performance Products terminates any contract in force between it and the Purchaser on the Terms pursuant to Clause 11 then the Purchaser will be liable for any loss or damage suffered by Lynx Performance Products whether directly or indirectly in relation to the repudiation by the Purchaser. In the case of Goods produced to the Purchaser’s specification or which are in the process of being produced the Purchaser must pay to Lynx Performance Products as liquidated damages the full contract price and any costs included by Lynx Performance Products less the current scrap value of the Goods (If applicable) as determined by Lynx Performance Products. 2.10 All prices are quoted in $AUD (Australian Dollar) amounts and are not inclusive of GST. GST (if applicable) is calculated at checkout. 3.1 The extension of credit to the Purchaser by Lynx Performance Products shall be at its sole discretion and, where extended, unless otherwise advised in writing by Lynx Performance Products, the Purchaser must make payment in full within thirty (30) days at the end of the month in which the delivery of the Goods occurs or as otherwise specified in Lynx Performance Products invoice. 3.2 Without in any way limiting the right of Lynx Performance Products to require payment in full by the due date, Lynx Performance Products may in its sole discretion charge interest on overdue accounts at the rate of 3.5% per amounts in excess of 60 days. 3.3 Payments made by credit card may be subject to a surcharge. 3.4 In order to assess the Purchaser’s credit worthiness, the Purchaser agrees that - Lynx Performance Products shall be entitled to use the services of a credit agency from time to time to obtain information concerning the Purchaser. 3.5 Time is of the essence for payment. 3.6 All payments for goods purchased are to to be settled in the quoted $AUD amount. Lynx Performance Products does not assume any additional foreign exchange charges that may result from fluctuations in currency conversion rates. These amounts are to be worn solely by the Purchaser. 4.1 Unless otherwise agreed in writing, Lynx Performance Products shall arrange for delivery of the Goods to the Purchasers nominated delivery point during working hours. 4.2 Lynx Performance Products reserves the right to arrange transport of the Goods by any means in its absolute discretion. 4.3 At all times the Purchaser must sign the delivery docket as confirmation of receipt of goods and provide the signed delivery docket to the carrier representing Lynx Performance Products. 4.4 Lynx Performance Products is deemed to have affected delivery of the Goods when they are made available for unloading at the Purchaser’s nominated delivery point. 4.5 The Purchaser is responsible for unloading the Goods from Lynx Performance Products delivery vehicle or the vehicle procured by Lynx Performance Products for delivery. 4.6 If the Goods are to be collected by the Purchaser from the premises of Lynx Performance Products, delivery occurs when the Goods are loaded on the Purchaser’s vehicle. 4.7 Lynx Performance Products is not liable for any claims for non-fulfilment or late delivery of Goods or of any loss or damage (including consequential loss or damage suffered by the Purchaser arising whether directly or indirectly out of delay in delivery or failure to deliver due to circumstances beyond reasonable control of Lynx Performance Products and the Purchaser shall accept and pay for Goods notwithstanding late delivery. 4.8 The Purchaser shall in its purchase order, advice Lynx Performance Products of the nominated delivery point and required delivery time. 4.9 Unless otherwise agreed by the Purchaser and Lynx Performance Products, Lynx Performance Products shall be entitled to deliver the Goods in one or more lots. Where delivery of the Goods is affected by way of part delivery, Lynx Performance Products shall be entitled to invoice the Purchaser for pro-rata progress in respect thereof. 4.10 Where the Purchaser’s order requires the Goods to be delivered by instalment then a separate contract arises on the subject to the provisions of these Terms in relation to each instalment. If Lynx Performance Products fails to deliver an instalment of Goods on time, or at all, the Purchaser must not and is not entitled to terminate any other contract in force between Lynx Performance Products and the Purchaser for the sale or supply of Goods. 4.11 In the event the Purchaser is unable to accept the Delivery of Goods, Lynx Performance Products shall be deemed to have delivered the Goods in accordance with these Terms and the Goods shall be at the Purchaser’s risk from the time when the Goods have been loaded onto the Purchaser’s collecting vehicle or made available for unloading at the Purchaser’s nominated delivery point or as the case may require. 5.1 Lynx Performance Products reserves the right to charge for any costs, charges or expenses whatsoever that it may incur as a result of vehicle or wagon detention of the Goods, but only to the extent the same is not caused or materially contributed to by Lynx Performance Products; demurrage on ships as a consequence of any act or omission of the Purchaser; any special requirements or stipulation’s of the Purchaser accepted by Lynx Performance Products in writing but not provided for in the Terms; and may increase in duties, taxes, freight, insurance or other charges or expenses from the date of acceptance of the Purchaser’s order by Lynx Performance Products to the date of Delivery. 6.1 If in the event Lynx Performance Products notifies the Purchaser that the Goods are ready for delivery and the Purchaser requests either orally or in writing for Lynx Performance Products to hold the Goods on its behalf, such Goods will be held by Lynx Performance Products at the Purchaser’s risk and Lynx Performance Products shall be entitled to charge storage fees in respect of the Goods stored. In relation to any fault, defect, state of being or thing in relation to or in respect of Goods made pursuant to the Purchaser’s specifications arising, whether directly or indirectly, out of the terms of the specification provided by the purchaser to Lynx Performance Products. Where Lynx Performance Products or its agents enters the Purchaser’s premises or the premises of a third party nominated by the Purchaser as a delivery point in respect of damage occasioned to the Purchaser’s premises or injury to persons arising out of the delivery by Lynx Performance Products or its agents in respect of damage occasioned to the third party’s premises or injury to persons arising out of the delivery by Lynx Performance Products or its agents of Goods to the premises of the third party to the extent that such loss, damage or liability suffered by Lynx Performance Products does not arise out of the negligence or carelessness of Lynx Performance Products or its agents. 8.1 The Purchaser shall inspect the Goods immediately upon delivery and, if the Goods are damaged or not otherwise in conformity with the order by the Purchaser, the Purchaser shall give written notice to Lynx Performance Products of the details within seven days of the date of delivery. 8.2 In the event the Purchaser fails to give notice to Lynx Performance Products within seven days the Purchaser shall be deemed to waive and release Lynx Performance Products from any claim it may have had in relation to the Goods and must pay the purchase price for the Goods to Lynx Performance Products. 8.3 Any Goods the subject of a notice given pursuant to clause 8.1 shall be left in the state and condition in which they were delivered until such time as Terra P/L or its duly authorised agent had inspected the Goods, such inspection to be carried out within a reasonable time after notification by the purchaser. If the goods are not so left in the state and condition in which they were delivered, the Purchaser shall be deemed to waive and release Lynx Performance Products from any claim it may have had against it but for this release in relation to the Goods and must pay the purchase price for the Goods to Lynx Performance Products. For items returned undamaged within 15-30 days - a $25.00 or 10% of the item price fee will apply, whichever is the greatest. For items returned undamaged within 31-60 days - a $25.00 or 15% of the item price fee will apply, whichever is the greatest. Items returned after 60 days will not be refunded. All Buy in items are strictly NON-Refundable. Ensure that, at all times, the Goods are properly stored, protected, readily identifiable and insured. 9.2 With the prior written consent of Lynx Performance Products, the Purchaser may sell or deal in the ordinary course of business with the Goods provide that any such sale or dealing is at arms’ length and on market terms and any such sale is held on trust for Lynx Performance Products in a separate account. Must ensure that such part of the processed goods is properly stored, protected, readily identifiable and insured. 9.5 For purpose of this clause 9 "such part" means an amount equal in dollar terms to the amount owing by the Purchaser to Lynx Performance Products at the time the Goods are used in the manufacture of, or incorporated into, the processed goods. The Purchaser holds on trust such part of the proceeds of any sale of or dealing in the processed goods that is equal in dollar terms to the amount owing by the Purchaser to Lynx Performance Products at the time the Goods are used in the manufacture of, or incorporated into, the processed goods, in a separate identifiable account as the beneficial property of Lynx Performance Products and must pay such amount to it upon request. 9.7 Without prejudice to the rights of Lynx Performance Products in clause 9.3 above, in the event of a breach of this contract by the Purchaser including, without limitation, failure by the Purchaser to make payment for Goods by the date specified by Lynx Performance Products to the Purchaser, the Purchaser must return the Goods to Lynx Performance Products on demand. If the Purchaser does not return the Goods to Lynx Performance Products within 48 hours of receipt of the demand, Lynx Performance Products shall be entitled without notice to enter the Purchaser's premises at any time to do all things necessary to recover the Goods. Shall indemnify Lynx Performance Products for all fees (including legal fees on a full indemnity basis), costs and expenses incurred or suffered as a result of any and all prosecution, actions, demands, claims or proceedings brought by or against Lynx Performance Products in connection with retaking possession of the Goods or the exercise by Lynx Performance Products of its rights under this clause 9, and the Purchaser shall repay all such fees, costs, losses, damages expenses or any other sums of money on demand. 9.9 The parties agree that this clause 9 is not intended to create a charge or any other form of security interest and to the extent, as a matter of law, this clause creates a charge or any other form of security interest, the offending words shall be deleted. 10.1 This clause 10 applies to the interest in any goods of Lynx Performance Products as a securit interest for registration in the PPSA Register. 10.2 The Goods are high performance parts and other steel components. 10.3 The Purchaser acknowledges and agrees that Lynx Performance Products may register its security interest in the Goods at any time before and after delivery. 10.4 The Purchaser acknowledges and agrees to waive its rights under section 157 of the PPSA to receive verification of the registration. 10.5 Lynx Performance Products may apply amounts it receives from the Purchaser towards amounts owing to it as Lynx Performance Products may choose. 10.6 In the event of any default by the Purchaser of any obligation owed to Lynx Performance Products under these terms or any other agreement for the supply of the Goods, Lynx Performance Products is at liberty to enforce its security interest in any goods by exercising all or any of its rights pursuant to these terms and/or the PPSA. 10.7 The parties agree to the maximum extent permitted by law sections 95,118,121(4), 125,130,132(3) (d), 132(4), 135,142 and 143 of the PPSA do not apply to the enforcement by Lynx Performance Products of its security interest in the Goods. 10.8 The parties agree not to disclose information of the kind referred to in section 275(1), except in circumstances required by sections 275(7)(b)-(e), of the PPSA. 10.9 The Purchaser must do anything requested by Lynx Performance Products to ensure that its security interest is a perfected security interest and has priority over all other security interests in the Goods. 10.10 Nothing in this clause 10 is limited by any provision of these terms or any other agreement between the parties. 10.11 If a term used in this clause 10 has a particular meaning in the PPSA, it has the same meaning as in this clause. Withdraw any credit facilities which may have been extended to the Purchaser and require immediate payment of all monies owed to Lynx Performance Products by the Purchaser. Suspend or terminate any contract in force between Lynx Performance Products and the Purchaser and, without limitation, withhold any deliveries of Goods or performance of services pursuant to any purchase order accepted by Lynx Performance Products. In respect of Goods already delivered, enter premises of the Purchaser to recover and resell same for its benefit. 12.1 To the extent permitted by Legislation, ail implied conditions; warranties and undertakings are expressly excluded from these Terms. 12.2 No statement or recommendation made or advice, supervision or assistance given by –Lynx Performance Products, its employees, agents, or representatives whether oral or written must be constructed as or constitutes a warranty or representation by Lynx Performance Products or a waiver of any clause in these Terms. Lynx Performance Products is not liable for loss or damage arising directly or indirectly from any act or omission to act arising directly or indirectly from any such statements, recommendations, advice, supervision or assistance. 12.3 Except as provided in the clause, Lynx Performance Products shall not be liable for any loss or damage, whether direct or indirect, including consequential losses or damage, arising out of any breach of these Terms by Lynx Performance Products, or any negligence of its employees or agents in respect of matters in any way connected with the subject matter of these Terms. 12.5 Lynx Performance Products will not be liable under any implied warranty for the costs of recovery of the Goods from the field, loss of use of the Goods, loss of time, inconvenience, incidental or consequential loss or damage, not for any other loss or damage other than as stated above whether ordinary or exemplary caused either directly or indirectly by the use of the Goods. No implied warranty may be invoked in respect of any defects to other malfunctions insofar as such defects or malfunctions are caused to Goods by accident, neglect, vandalism, misuse, alteration, modification or unusual physical, environment or electrical stress. 13.1 Subject to the rights pursuant to Legislation and unless the Goods have been supplied to the Purchaser by Lynx Performance Products under a Consumer Contract the Purchaser agrees that it does not rely on the skill or judgment of Lynx Performance Products in relation to the suitability of any of the Good for a particular purpose unless it has indicated that purpose in writing to – Lynx Performance Products and it has acknowledged in writing that the Goods will fit the particular purpose. 14.1 Lynx Performance Products shall not be liable to the Purchaser where an event of Force Majeure prevents or delays Lynx Performance Products from performing any obligation under these Terms. 15.1 These Terms set out the entire agreement between the parties in relation to their subject matter. 15.2 Lynx Performance Products reserves the right to review and amend these Terms from time to time. Written notification forwarded to the Purchaser by ordinary mail shall be deemed sufficient notification to bind the Purchaser to any revised or amended Terms for all orders placed by the Purchaser and accepted by Lynx Performance Products after receipt of such notification. 15.3 The laws of Victoria are applicable to the agreement between Lynx Performance Products and the Purchaser and each party submits to the non-exclusive jurisdiction of the courts exercising jurisdiction in Victoria and any court that may hear appeals from any of those courts and the parties waive any right it might have to claim that those courts are an inconvenient forum. 15.4 A party waives a right under these Terms only if it does so in writing. A party does not waive a right simply because it fails to exercise a right, delays exercising the right, or only exercises part of the right. A waiver of one breach of any of the Terms does not constitute as a waiver of another breach of the same term or of any other term. 15.5 Lynx Performance Products may assign or otherwise deal with the benefit of any contract made pursuant to these Terms without the consent of the Purchaser. 15.6 The parties may conduct business by Electronic Data Interchange (IDI) and in accordance with the terms of any Electronic Trading Partner Agreement to which they are parties and into which these terms are incorporated. 15.7 Any provisions of these Terms which are unenforceable or partly unenforceable is where possible to be severed to the extent necessary to make these Terms enforceable unless this would materially change the intended effect of the Terms. Goods were of a kind ordinarily acquired for personal, domestic or household use or consumption; unless the Goods were acquired for the purpose of re-supply or the purpose of using the Goods up or transforming them in trade or commerce. 16.8 Working Hours means between 8:30am and 5.00pm, Monday to Friday (inclusive) excluding public holidays. 16.9 Buy in items that are assembled or manufactured to order initiated or requested by the Purchaser.